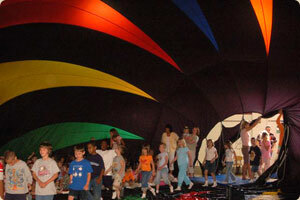 Liberty Balloon Company offers a unique educational program for elementary and secondary schools. Our assembly entitled “Up and Away with Hot Air Balloons!” combines the natural excitement of the balloon with a wealth of teaching experience. Our program consists of two segments: a fact-filled and engaging educational session, and a highly memorable live demonstration. 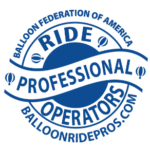 The live demonstration may be presented one of two ways: with either an outdoor balloon inflation with indoor as a windy-day backup, or the weather-proof and equally thrilling indoor only option. The heart of the program is a presentation illustrated with slides. 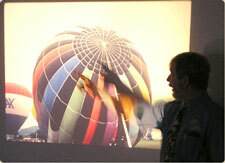 The pilot/presenter shares with the students how balloons work and what kinds of things can be done with balloons. Subjects covered during this time include the history of ballooning and aviation, the effect of weather, the mechanics of modern ballooning, licensing, and how the natural high is better than drugs. This portion of the program is flexible; for example, it can be tailored to any subject to emphasize science or to complement a reading program. We adjust our delivery to ensure the presentation is age-appropriate. 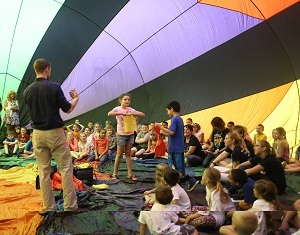 The demonstration is where the students see the balloon in action…inflated, and up close & personal! 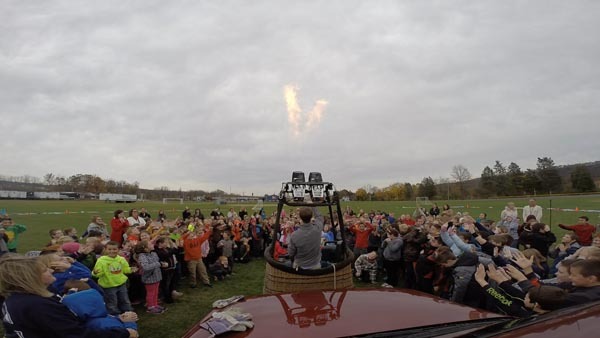 Witnessing firsthand an inflation of a real balloon is a magnificent and inspiring sight, one that students and teachers alike will never forget! Programs are customized for each school. Basic pricing is $1695 for a half day program, or $1995 for a full day program. Alternative funding through BOCES or Re/Max of New York may be available. Winter discounts available. Call for details! For more, visit our Program Details page or, if you’re ready for a conversation, contact us for more on how we can tailor our program to fit your school’s needs.